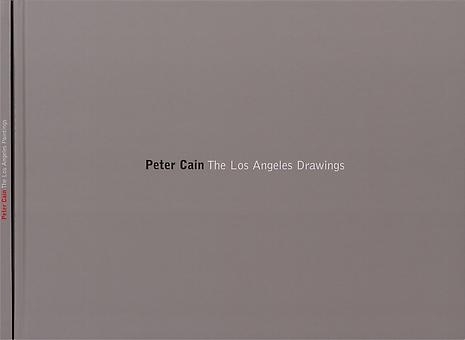 Peter Cain was my friend. We were close for about five years before he died suddenly, at a very young age. We were the same age, so he must’ve been in his mid-thirties, because it was about ten years ago, I think. I’m not good with death days or birthdays. He died in the fall; it was cold on those nights that we waited around St. Vincent’s and at the memorial service. The night he died my friend Clayton and I went to Marie’s Crisis and they were actually singing Piano Man and I remember thinking, Peter would love the abjectness. That’s where he and I really bonded, over the subject of abjectness. Oddly for that time period, he didn’t die of AIDS. It was a brain aneurism. He listened to music all day when he painted, really loud. Peter was very boy. He smoked Marlboros, didn’t make his bed, only wore Wranglers or Levis cords with a Fruit of the Loom pocket T-shirt and a ski hat. He was a spoiled brat because anybody would do anything for him, and he basically did whatever he wanted, which was not much, besides paint and listen to music. Did I mention he was gorgeous? Pretty, like an angel that you just wanted to slap. So of course he got away with murder. Frank Camarda, an artist and Peter’s good friend, introduced us. Frank was very helpful to me early in my career by bringing my work to the attention of Simon Watson, who gave me my first show and had already done the same, I think, for Peter. Simon’s gallery was a locus of activity in the early nineties but closed after breaking some really fine ground. Peter had some new paintings, and he wanted to show them with Pat Hearn, whose gallery at that time was on Wooster Street. I was friends with Pat and had worked at the gallery when it was still in the East Village, but in over ten years, I had only made one other recommendation to her and that hadn’t worked out. Peter’s paintings were big and exotic looking, and by that I mean weird: contemporary cars Frankenstein-ed into Cyclops in a highly skilled, photorealistic manner. Now at the time nothing could have been more out than photorealism. Pat had of course opened that season with a show of masterpieces of the genre, as well as a Larry Bell show, so I thought, correctly as it turned out, that she might be somewhat enthusiastic about Peter’s work. She was somewhat. She did a show upstairs and Peter Halley came to the opening and Peter Cain was pretty pleased about that. He was for all his spoilt affect, fairly easily pleased. We were up-and-comers and everything felt good to us at the time, and we did a lot of it. Then we stopped doing it and that was even more fun because it seemed really abject, stopping. We still had fun though. One Christmas Eve we went to the midnight show at the Gaiety and then to the Howard Johnson downstairs on the corner of Forty-fifth and Broadway afterward. The smoking section, in the Times Square Howard Johnson’s, Christmas Eve, and it started to snow.